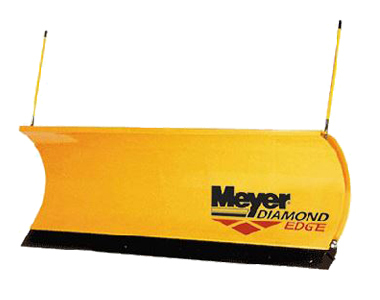 Continue using your agricultural tractor all year by mounting this Meyer 52495 96 inch Diamond Edge Plow. 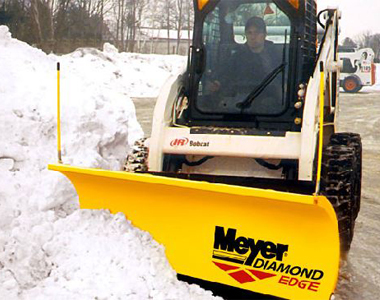 Diamond Edge plows offer bottom-trip design to keep the plow upright when striking obstacles to protect your load, the plow, and your truck. Optimal path clearing and snow rolling action is offered with the 70° attack angle. And, a remote control allows you to stay on your tractor for easy adjustments. H.A.T. Custom Mount: This heavy duty agricultural tractor (H.A.T.) 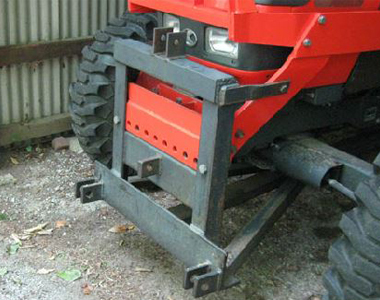 custom mount can be mounted to most agricultural tractors. One-Button Control: Control the plow from on the tractor with a one-button ergonomically-designed pistol-grip controller. Each function gets its own back-lit button for an easy-to-use design. Trouble-shooting instructions are located on the back of the remote. Diamond Edge Bottom Trip: Absorbs and dissipates the shock by obstructions. Lower portion of the blade is protected so the whole load isn’t lost. Reversible Cutting Edge: Extend the life of your cutting edge by reversing it. 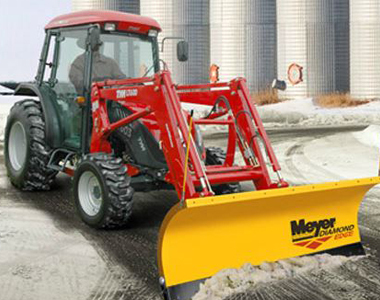 Plow Material: Plowing is a breeze with this 96 inch plow that’s designed out of durable steel, polyethylene and coated with Dura slick™ paint for better snow plowing action. 70° Attack Angle: More clearing performance in less time with this aggressive attack angle for superior path clearing and snow rolling action. Trip Springs: Two heavy-duty adjustable trip springs are included. Slot and Tab Construction: Precise and strong way to fit steel together. 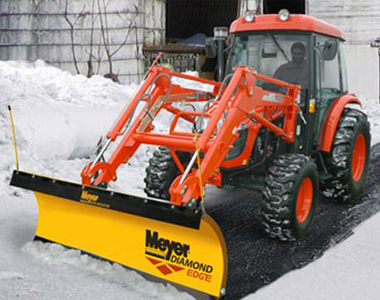 Water Proof Seals: These plows offer 3 times the waterproofing protection of most plows. Sealed Coils & Connectors: Corrosion of electrical and mechanical systems is reduced. Easy-Access Grease Points: Easy access to high-wear areas for greasing. Hydraulic Cover: Reliability is offered with the hydraulic cover to protect form salt and road dirt. Single Piece Cross-Over Relief: No adjustments needed and adds durability. Description: Line the edges of a driveway or road with these markers (1 each). 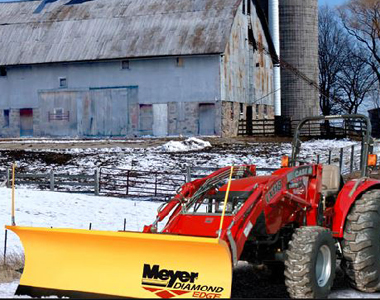 Ask us about the Meyer 52495 96" Out Front Hydraulic Diamond Edge Ag.Tractor Plow. Please no repair questions. Your Q&A may be posted to SnowblowersAtJacks.com to help other shoppers, like you, with their purchasing decisions. Thank you.